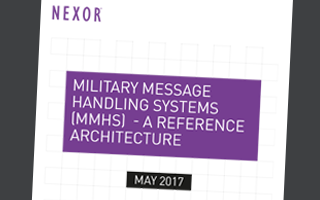 The OSI standards are published by the International Telecommunication Union and provide commercial standards on which Military Messaging Handling Systems (MMHS) are built. The ITU maintains a full listing of the X Series. A number of their Information Technology standards are applicable to Nexor. Find out more about our MMHS capability.